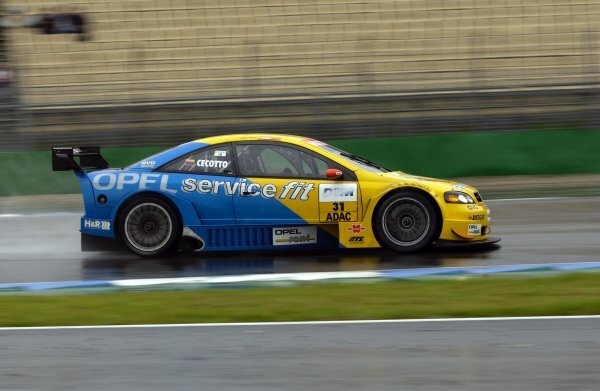 DTM Championship 2002, Round 10 - Hockenheimring, Germany, 6 October 2002 - Manuel Reuter (Opel Team Phoenix) was forced to retire early when he was unable to avoid a collision with fellow Opel driver Michael Bartels (Opel Team Holzer). 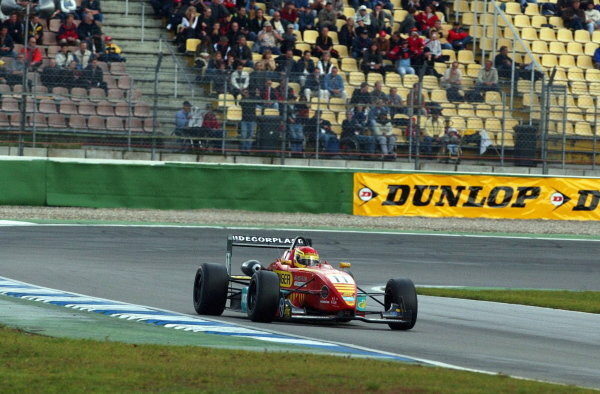 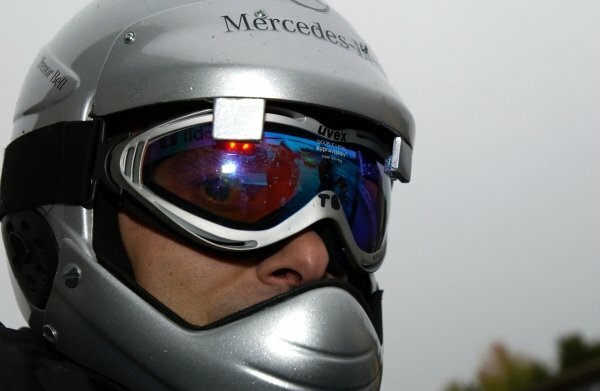 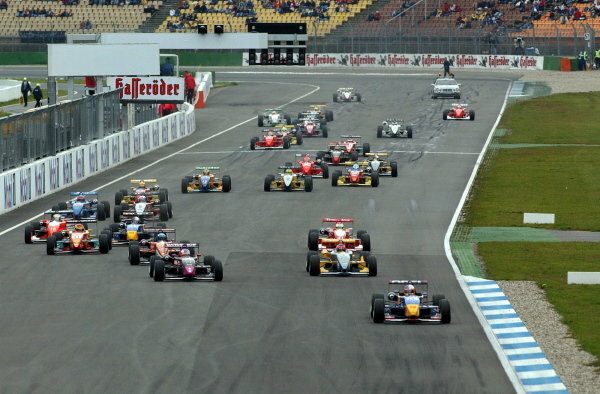 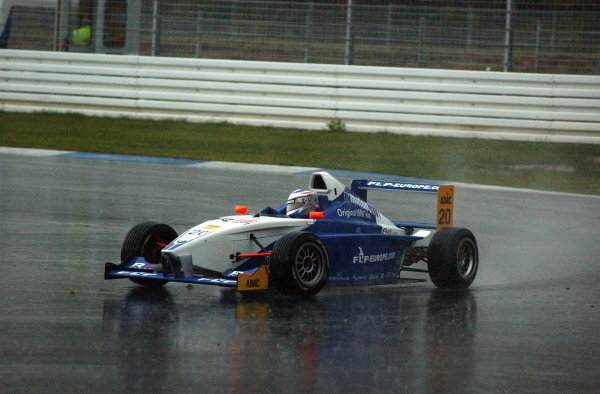 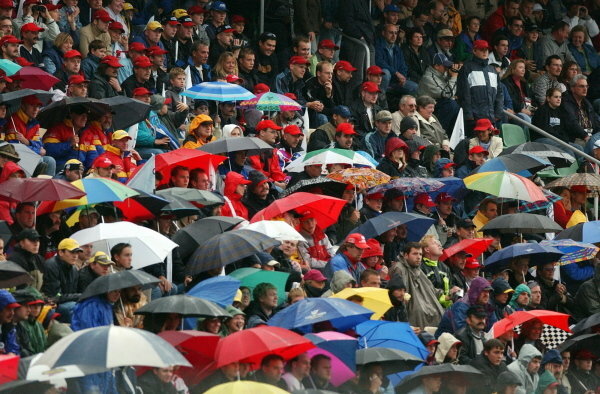 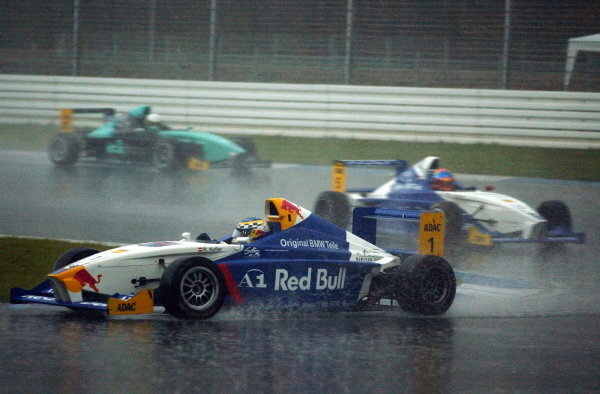 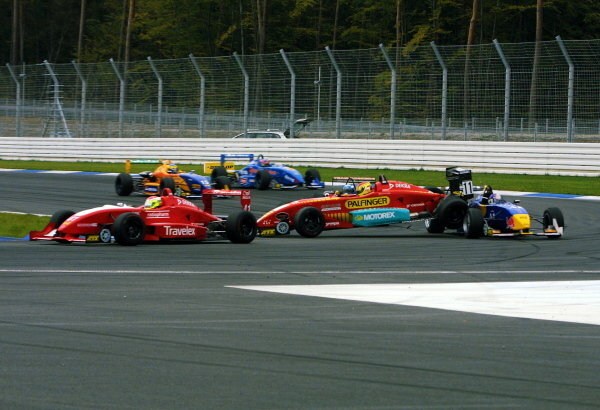 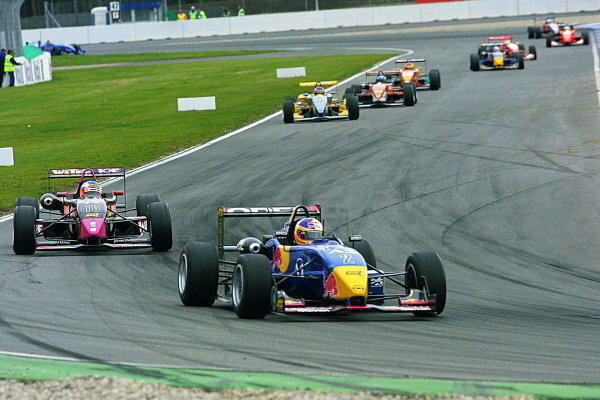 DTM Championship 2002, Round 10 - Hockenheimring, Germany, 6 October 2002 - Rain in the final stages of the main race brought extra tactics into play allowing Bernd Schneider (Vodafone AMG-Mercedes) to take over the lead from Laurent Aiello (Team Abt Sportsline). 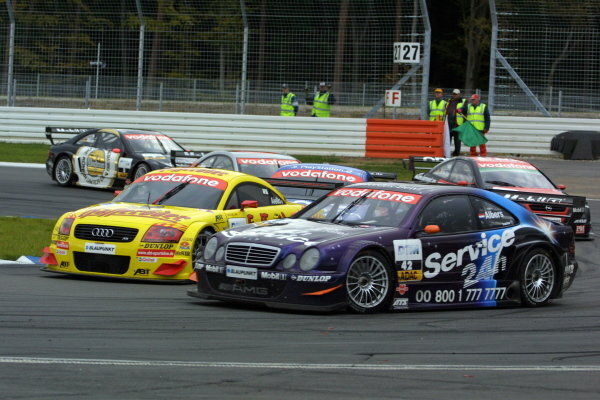 DTM Championship 2002, Round 10 - Hockenheimring, Germany, 6 October 2002 - Bernd Schneider (Vodafone AMG-Mercedes) wins his second race of the season. 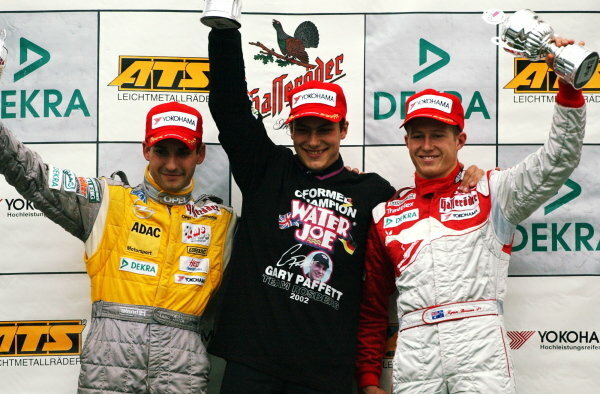 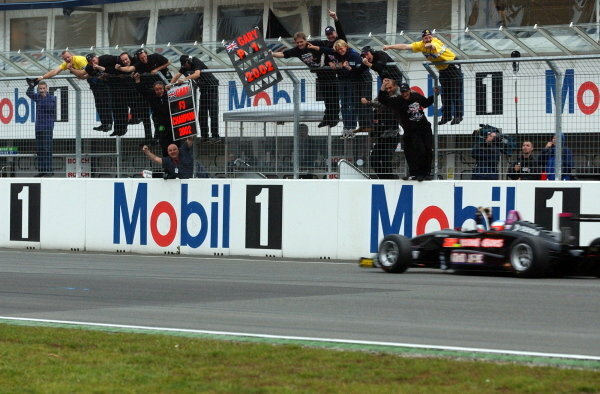 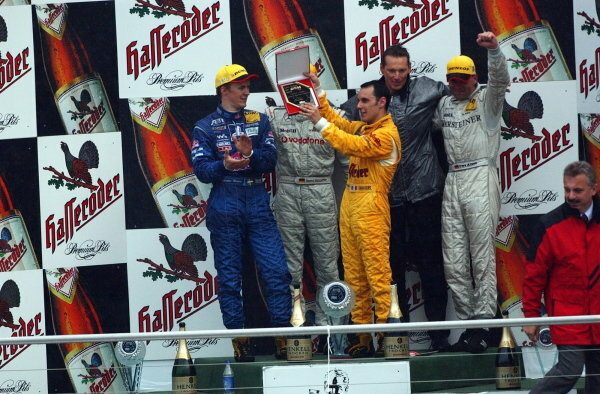 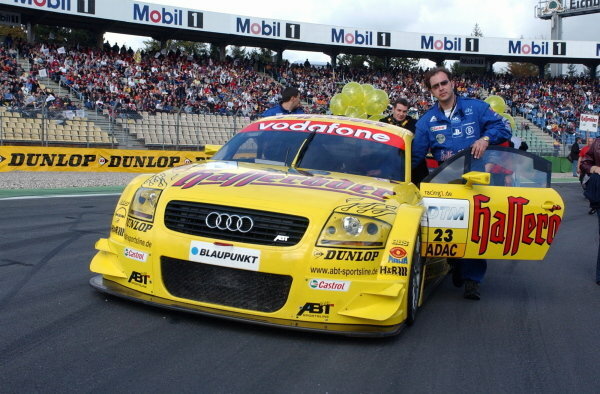 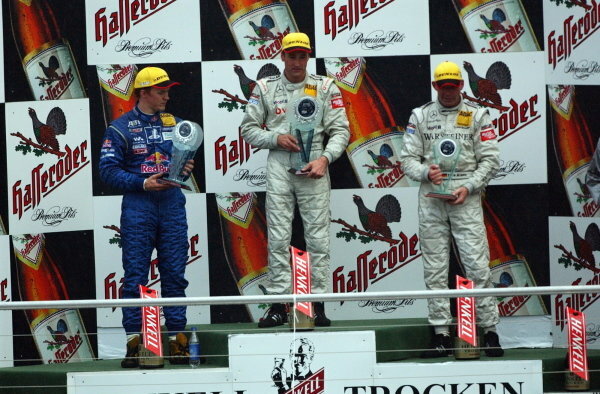 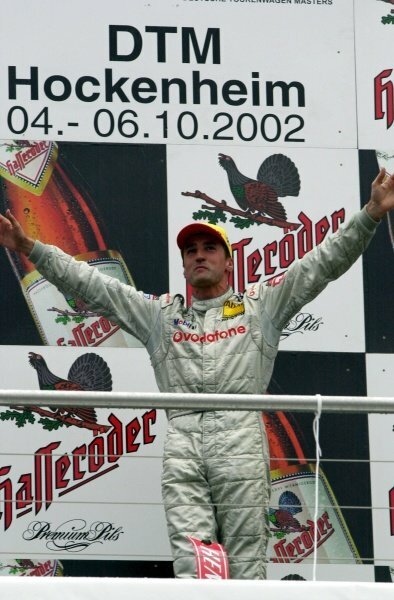 DTM Championship 2002, Round 10 - Hockenheimring, Germany, 6 October 2002 - During the last podium ceremony of the 2002 season, Laurent Aiello (Team Abt Sportsline) is presented with a plague for the 2002 DTM Drivers Championship.